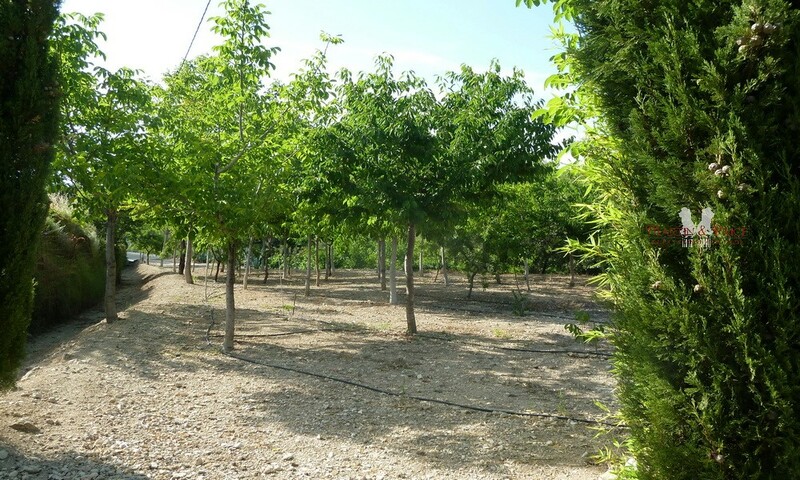 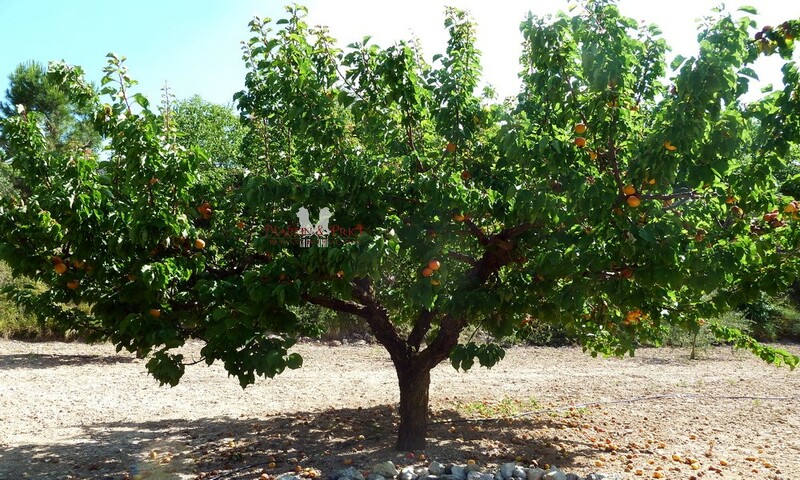 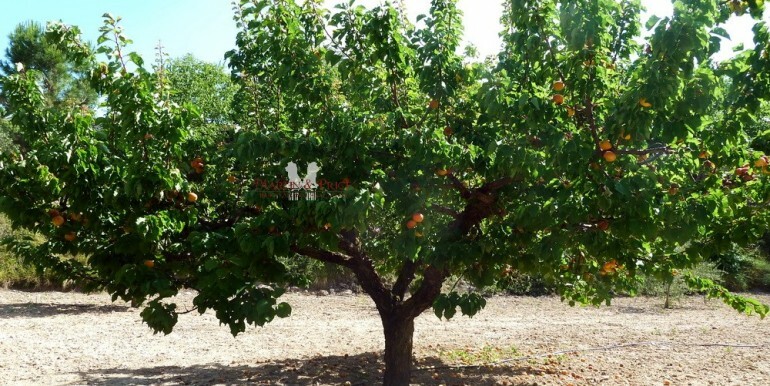 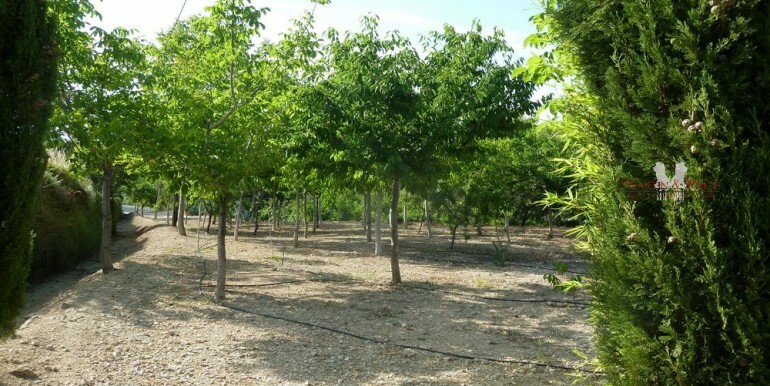 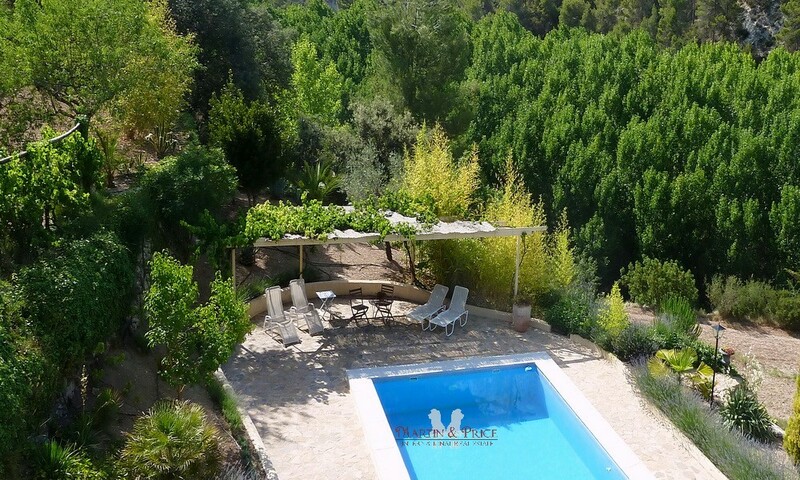 Located in a unique spot on the west side of the Aitana Sierra, surrounded by protected parkland and a river which runs along the north side of the plot, this property has 22,000 m2 of fertile irrigated land in which you will find olive trees, almond, oak and a variety of fruit trees also a refreshing poplar grove along the river. 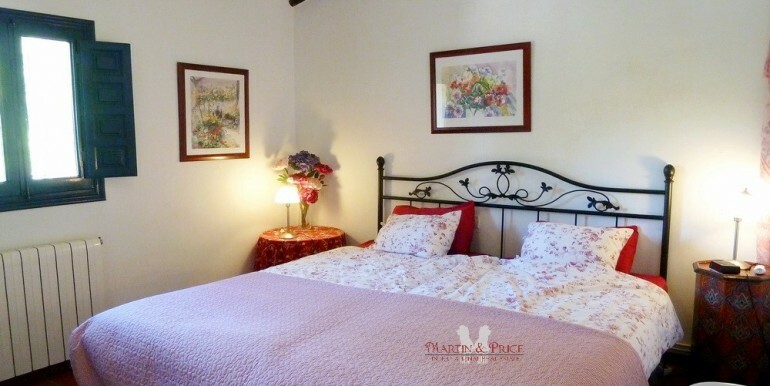 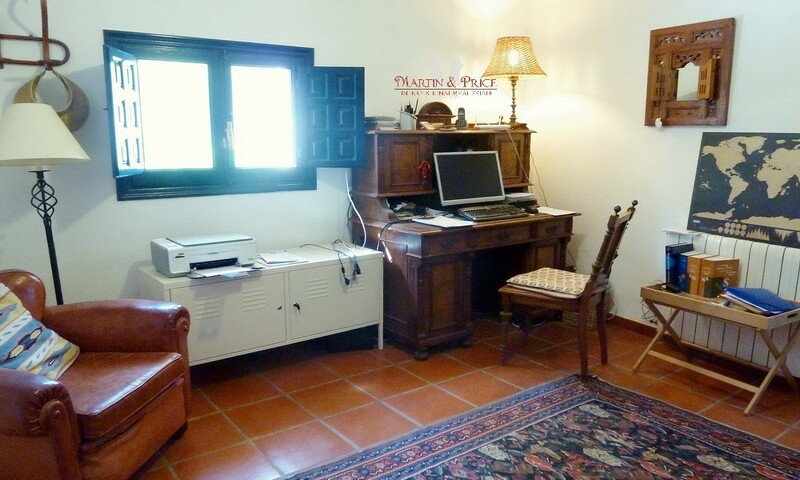 The old country house was completely refurbished in the late 90´s keeping its original character adding comforts to all rooms. 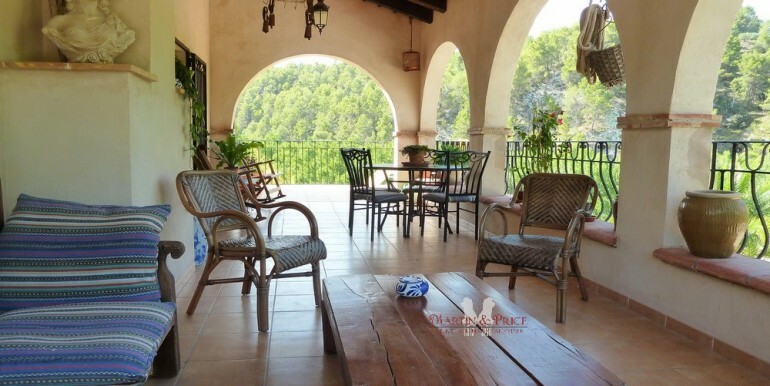 There are large terraces on each floor and large outdoor terraces on each side of the house, a large pool in which to enjoy the sun all day long and a beautiful paved courtyard with barbecue area. 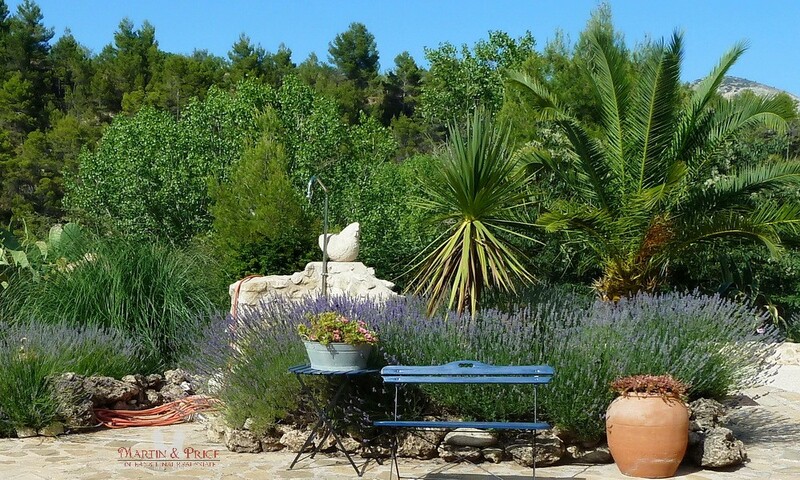 The gardens are meticulously maintained achieving excellent fusion with the environment and have fully automatic irrigation. 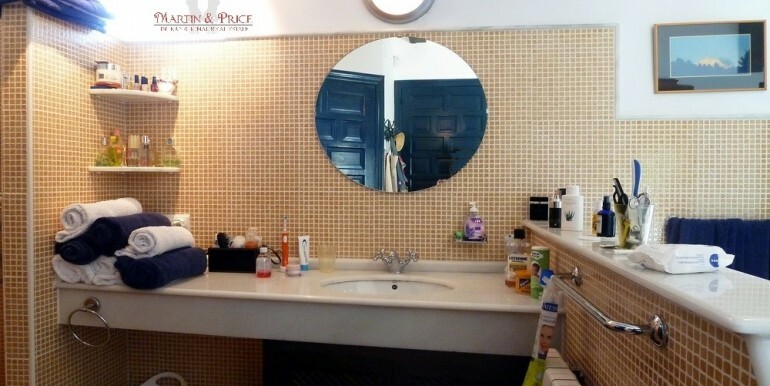 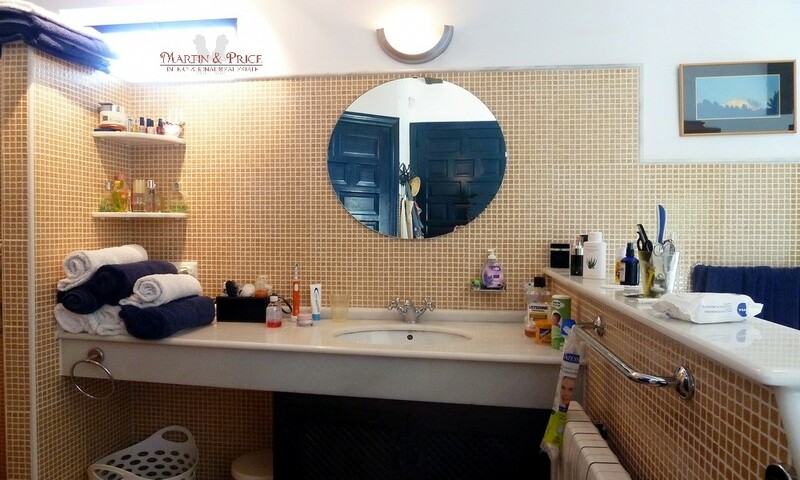 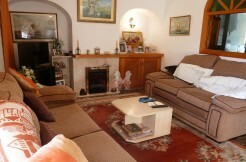 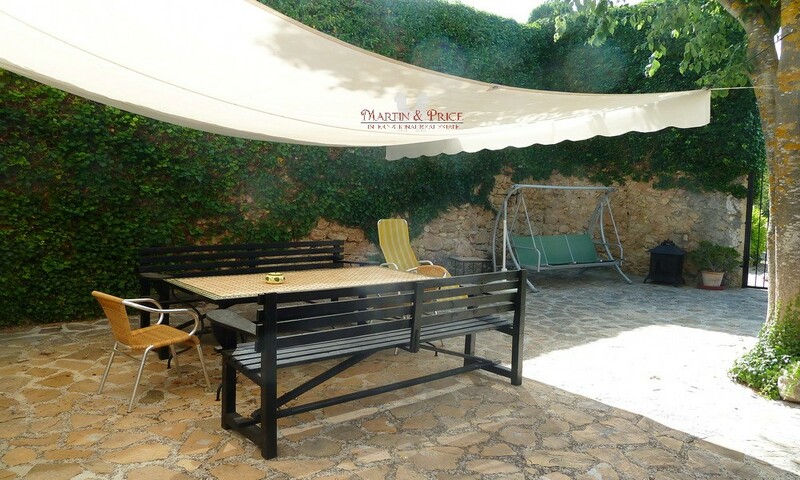 There is also a separate 45m² building with shower, toilet, one bedroom and a sauna. 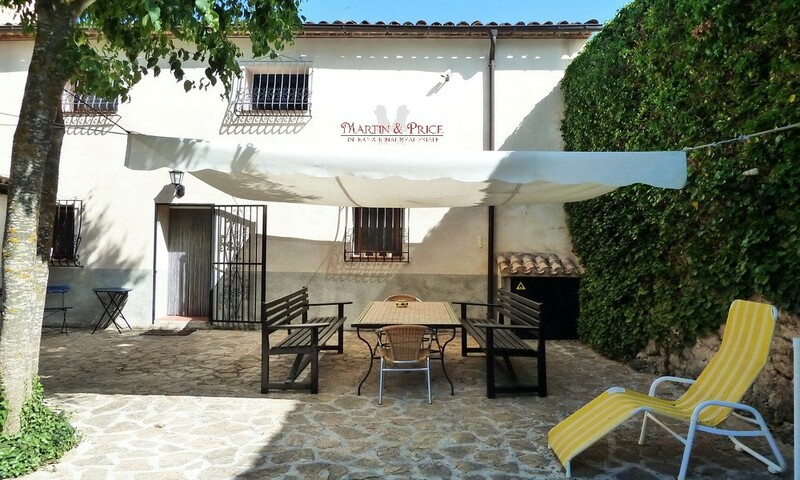 It has a double garage plus covered parking for three cars , workshop and laundry area. 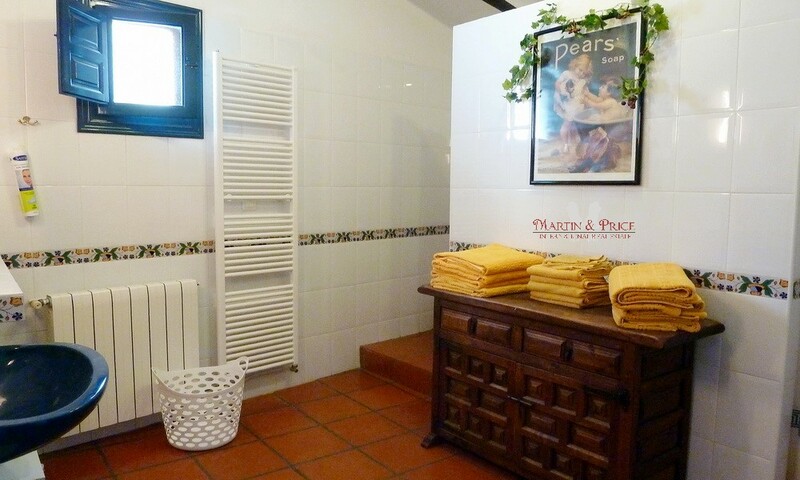 There is central heating throughout the house. 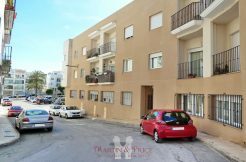 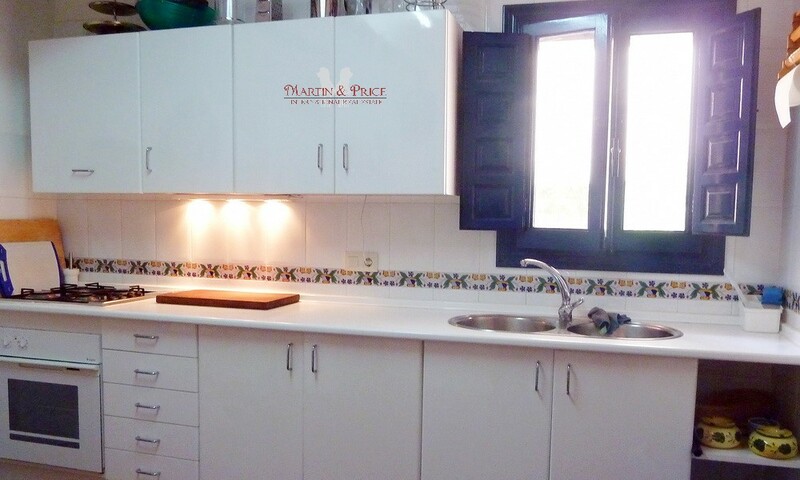 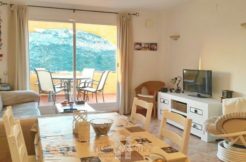 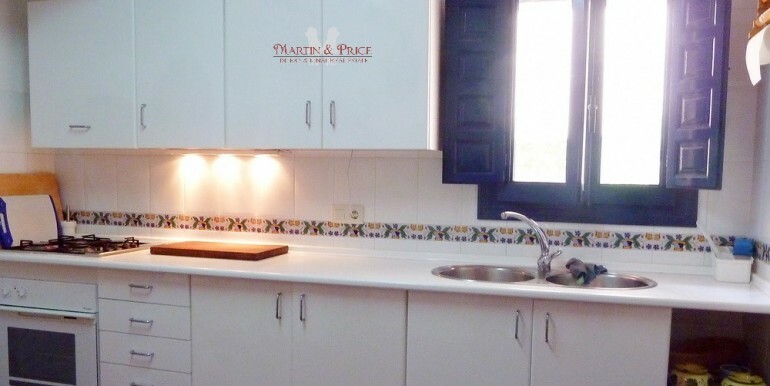 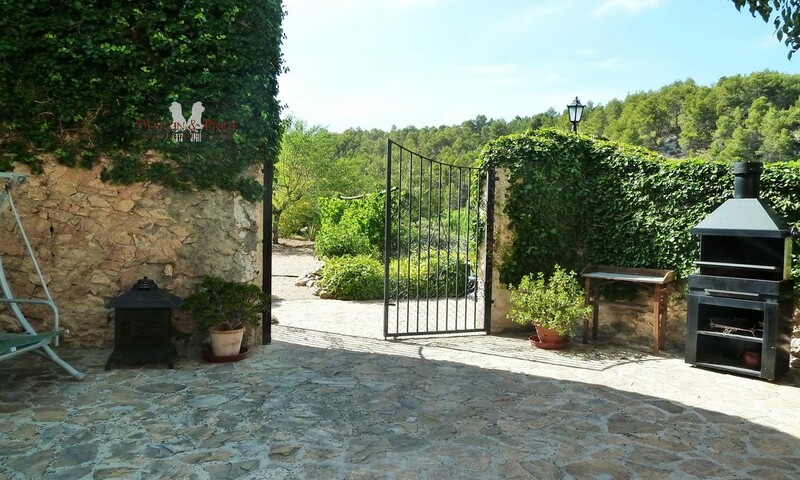 It is 5 minutes from Penáguila town, 30 minutes from Guadalest and 40 km from the sea and touristic places like Altea or Benidorm . 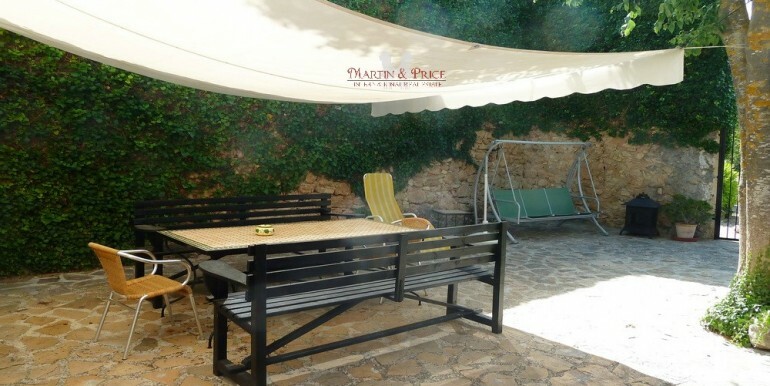 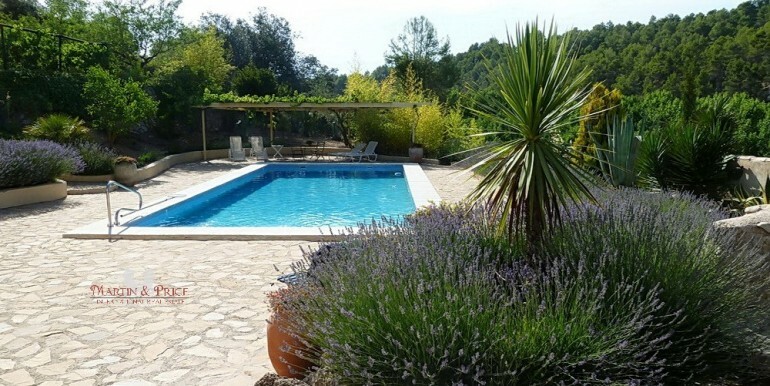 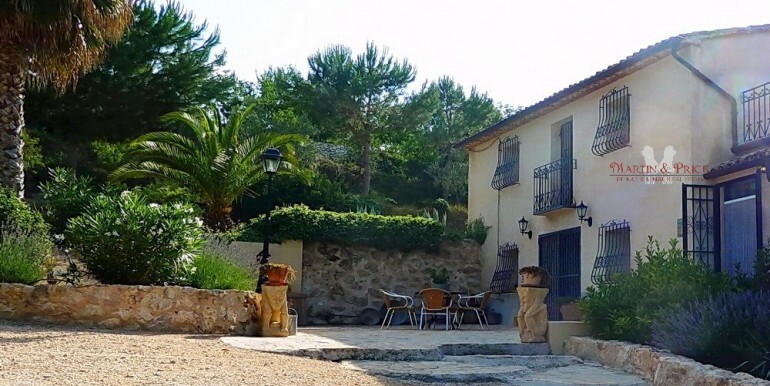 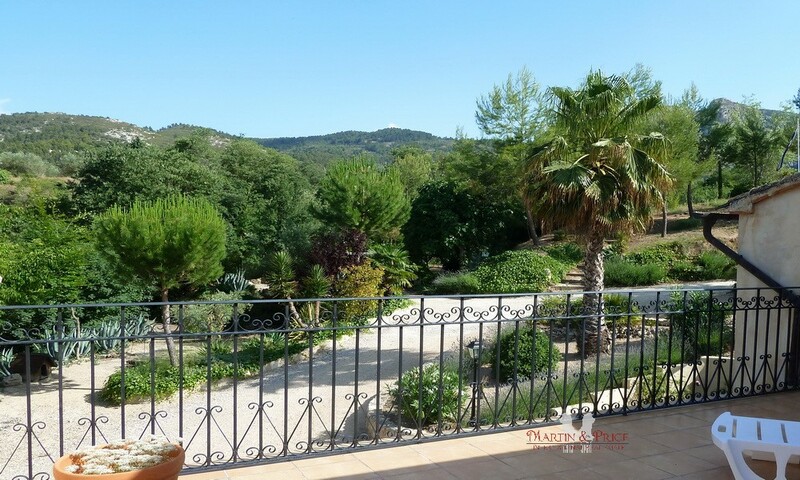 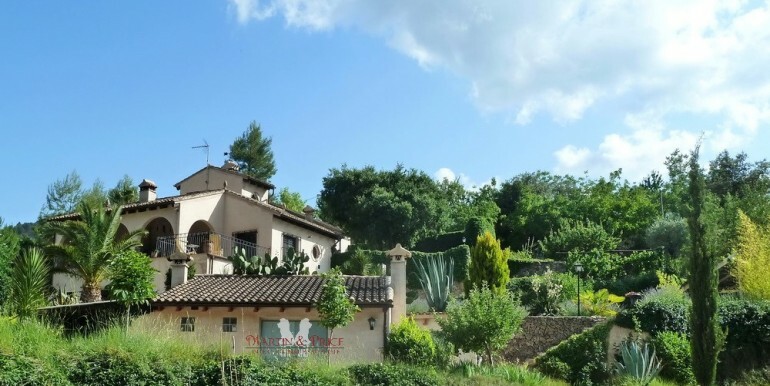 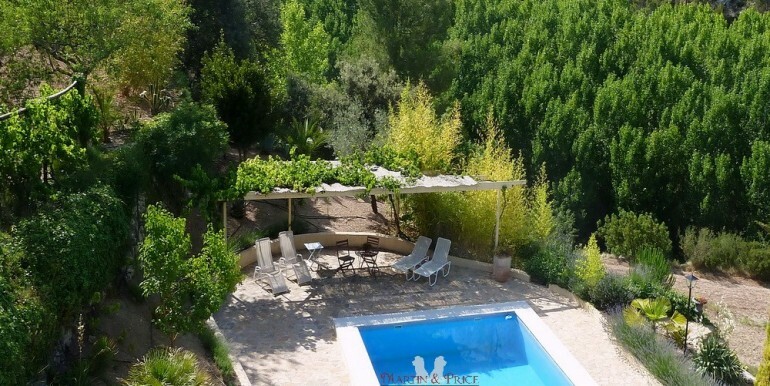 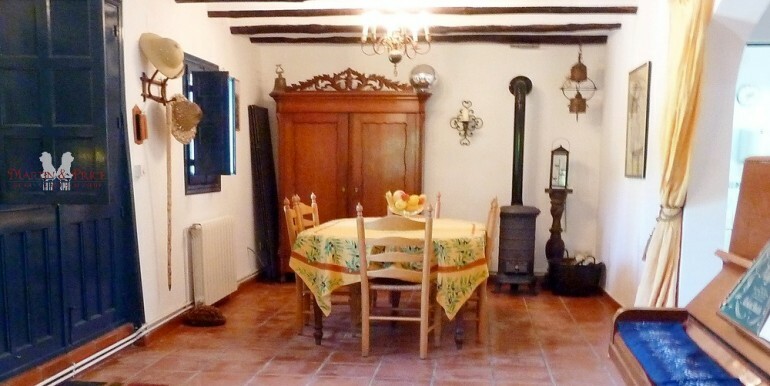 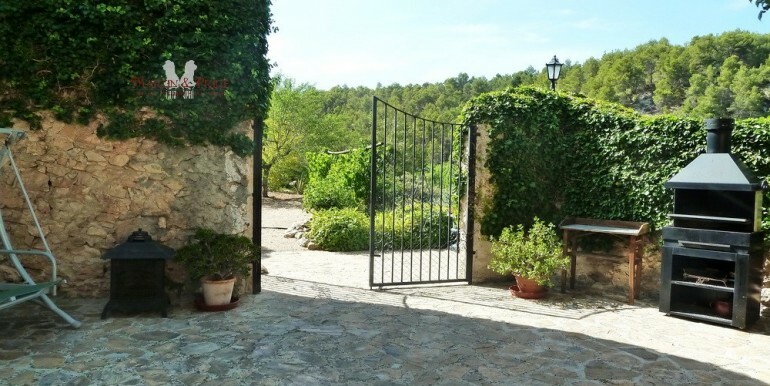 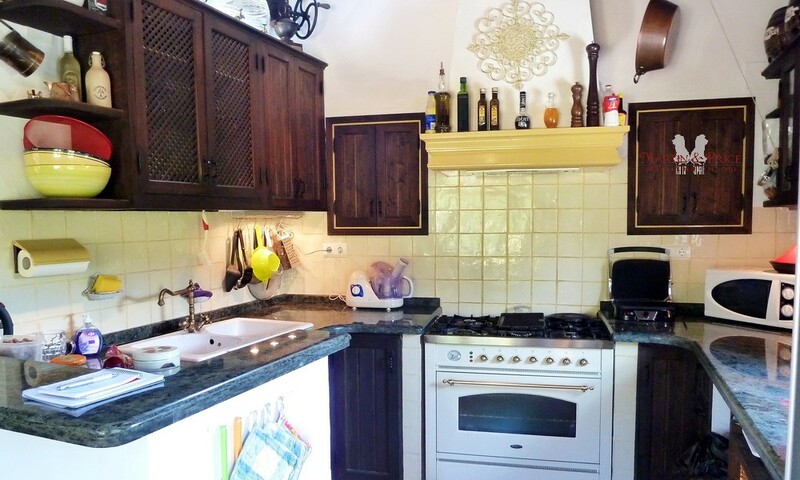 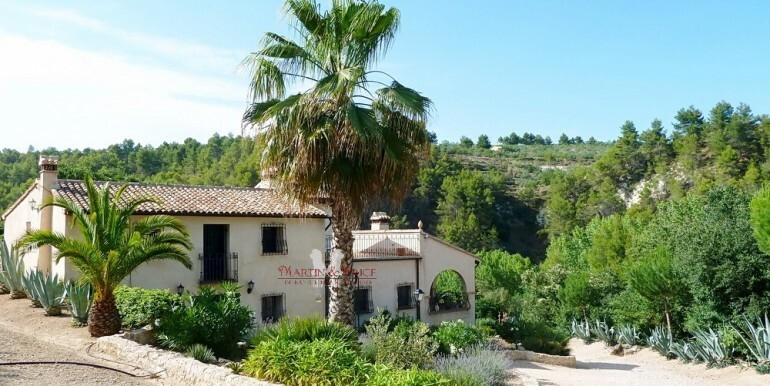 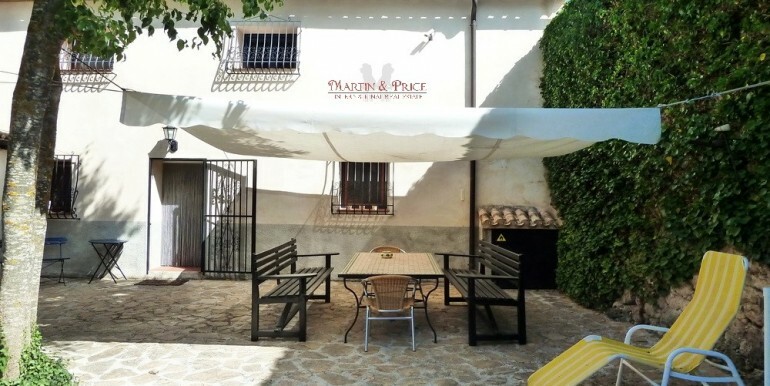 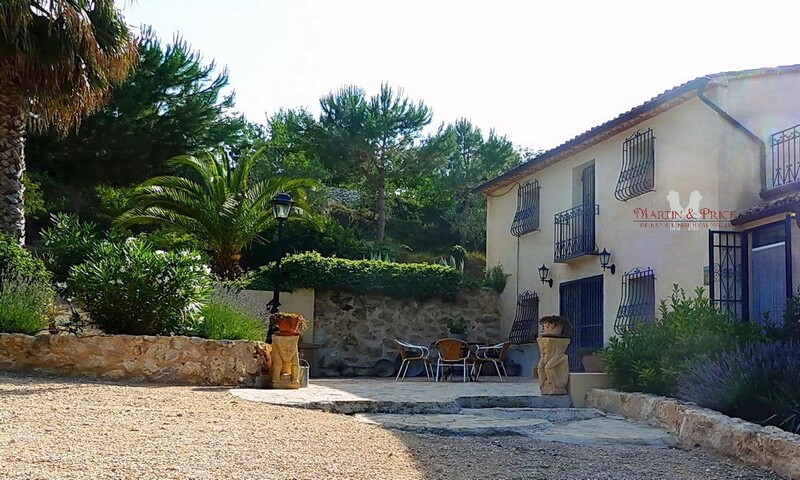 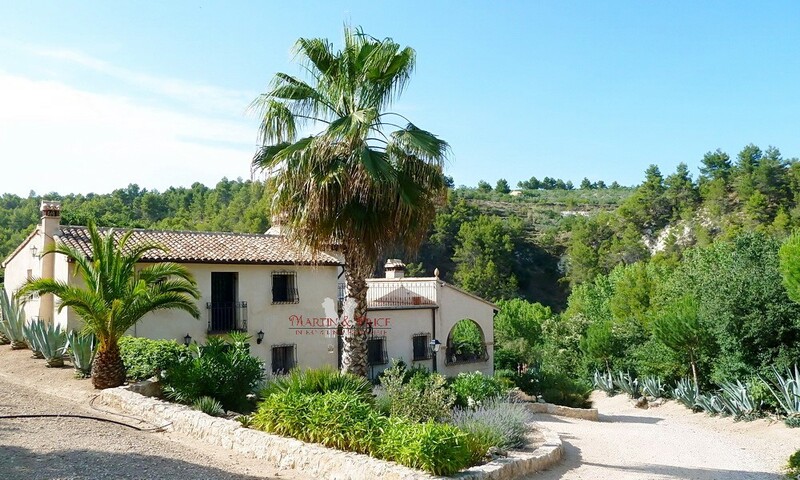 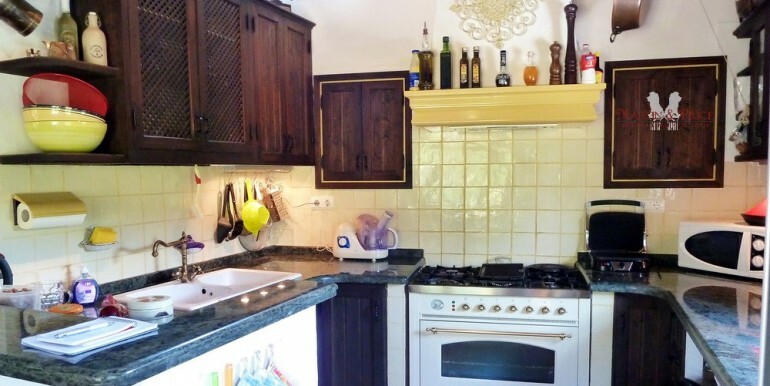 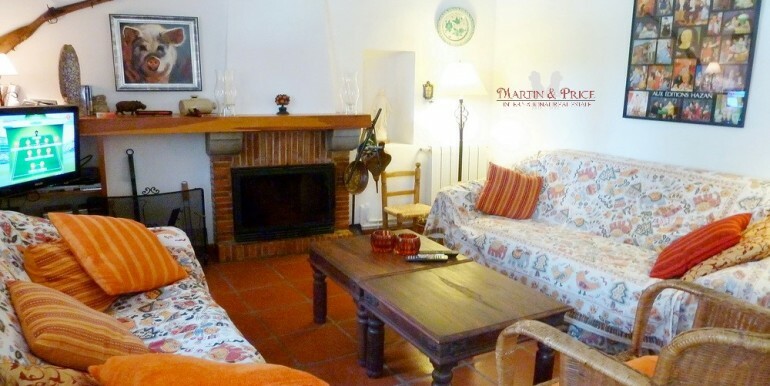 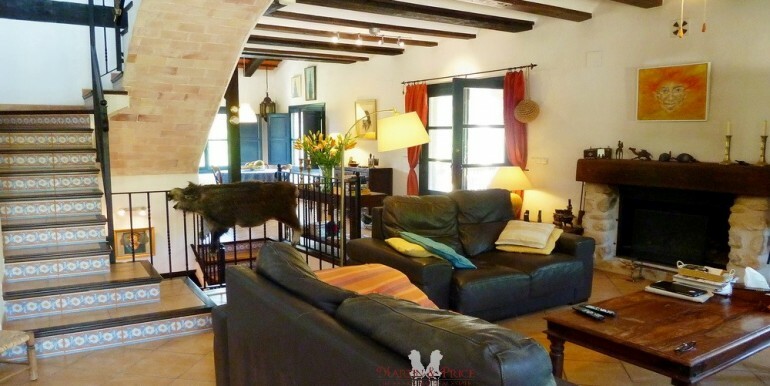 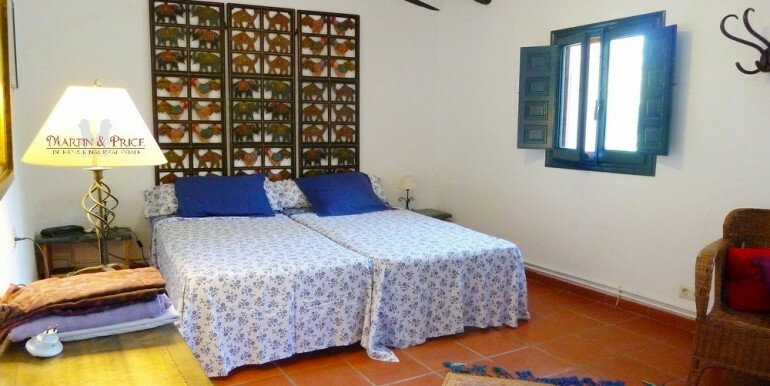 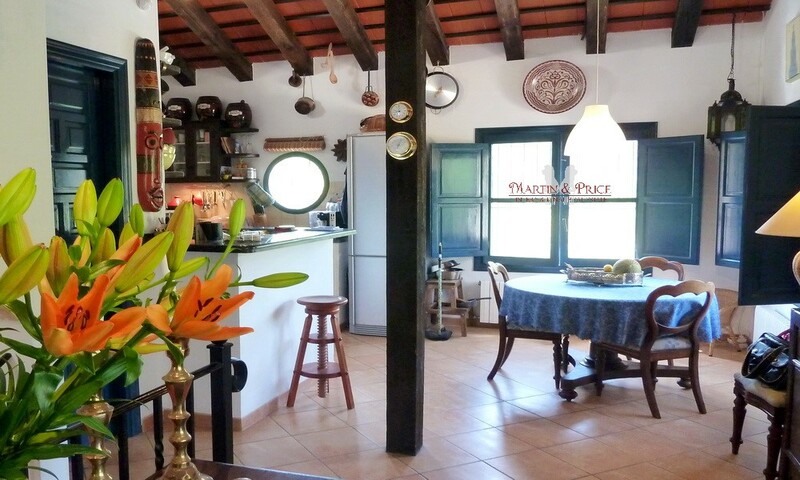 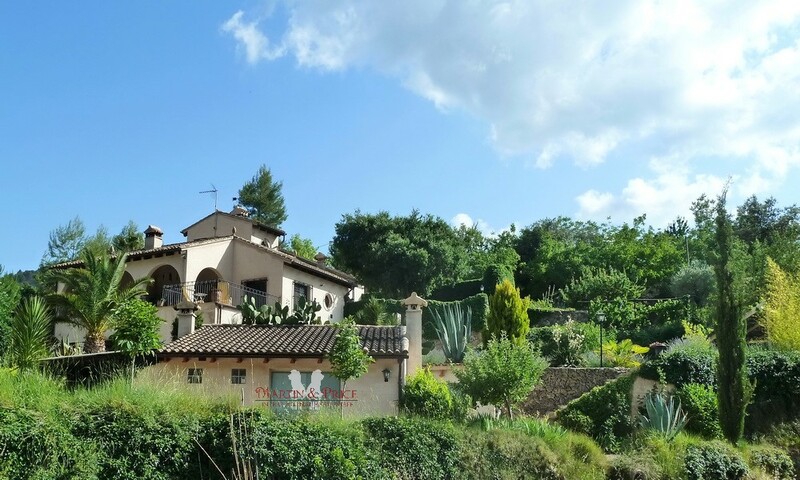 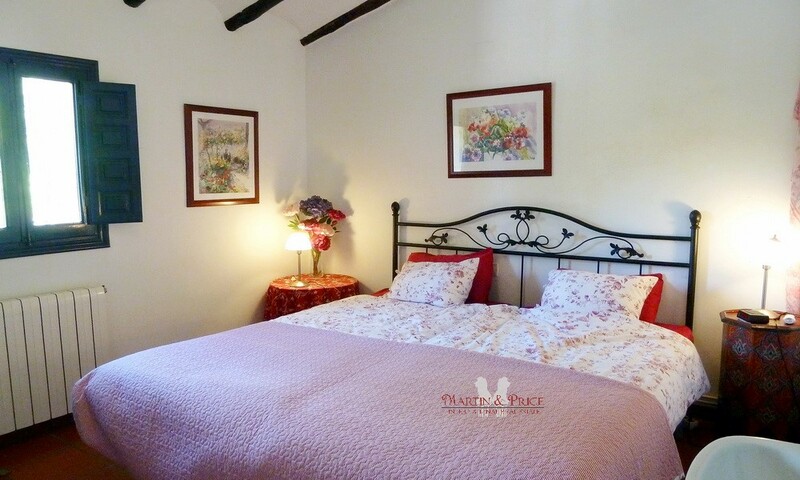 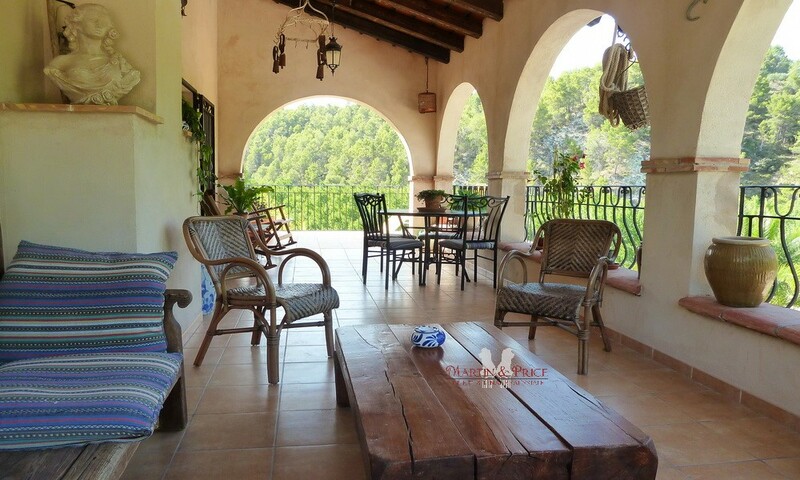 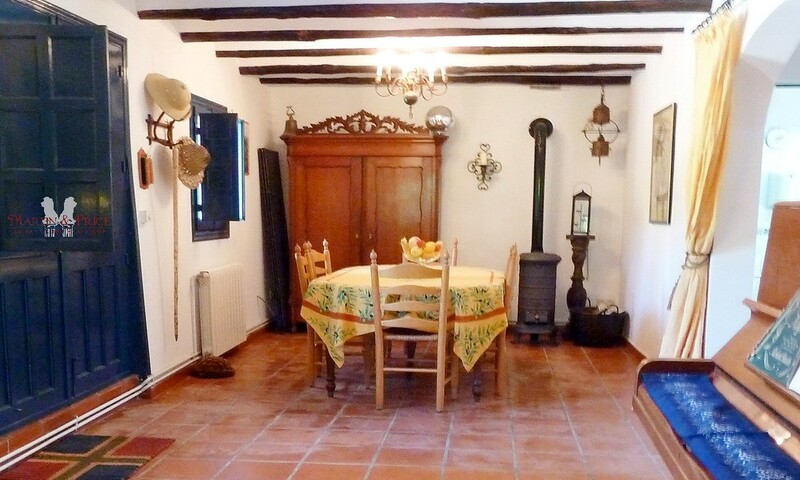 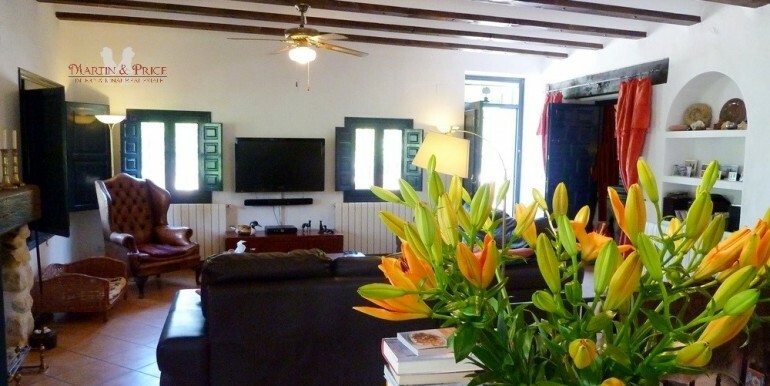 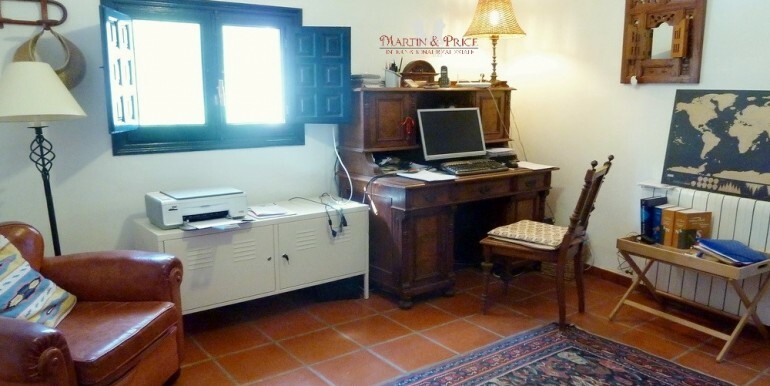 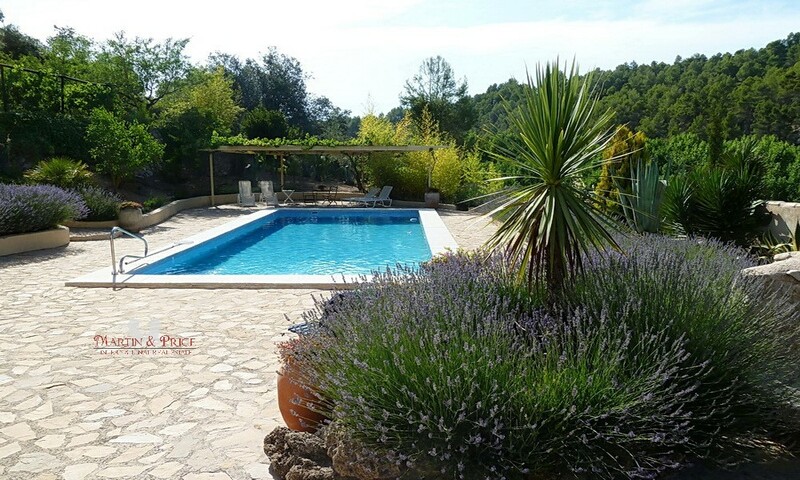 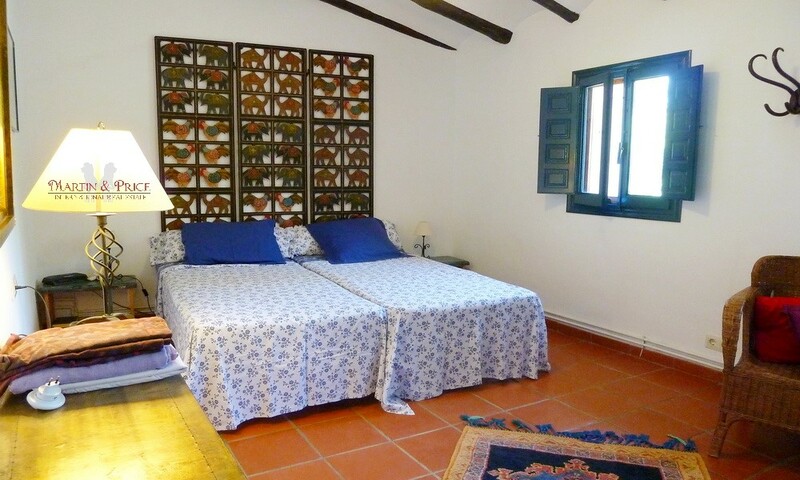 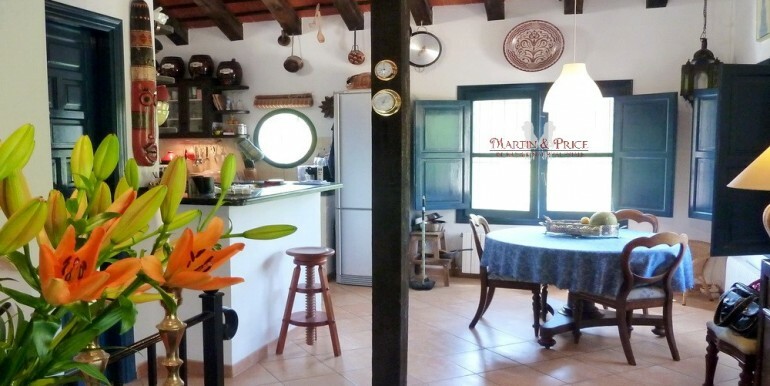 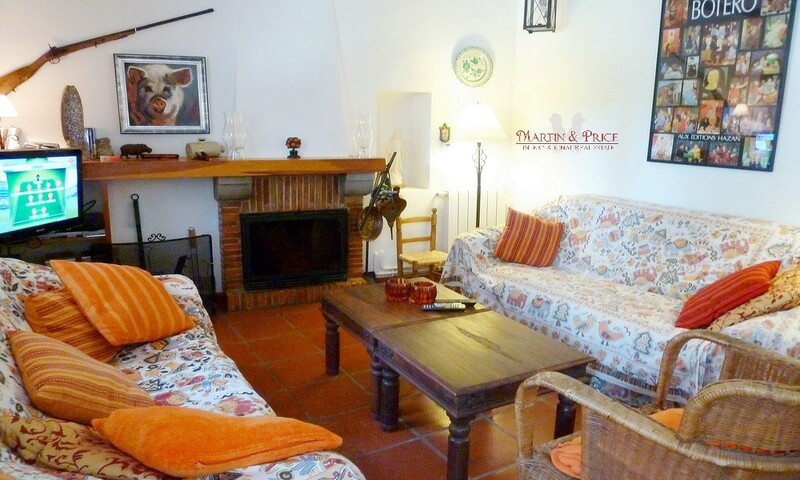 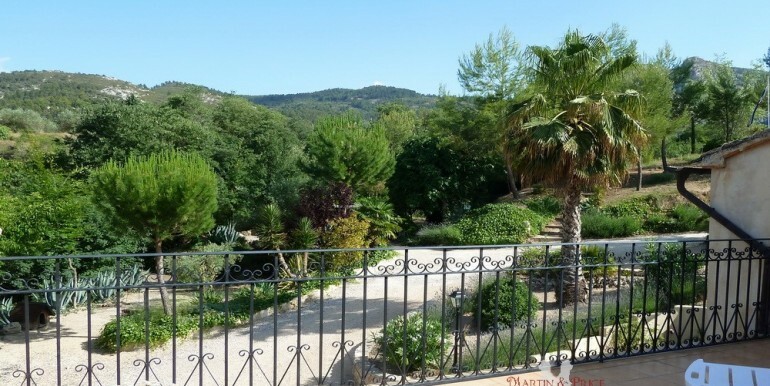 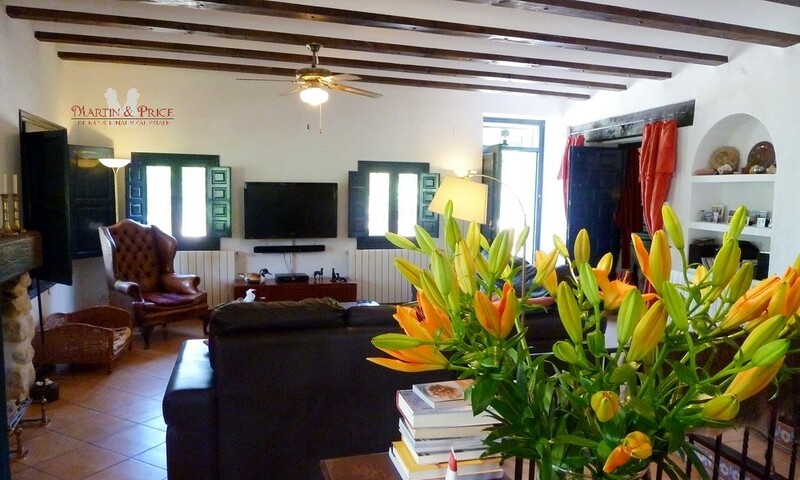 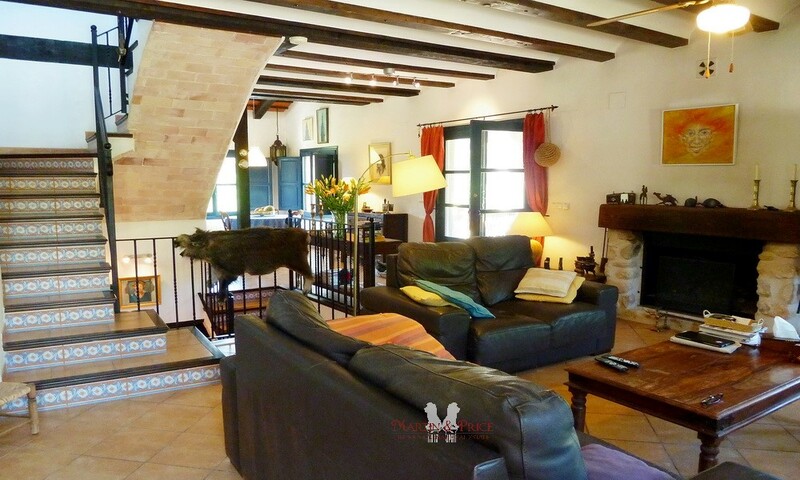 This delightful finca benefits from being close to all amenities, where you can enjoy nature at its best in a very private location surrounded by trees, hills, rivers, springs and natural caves. 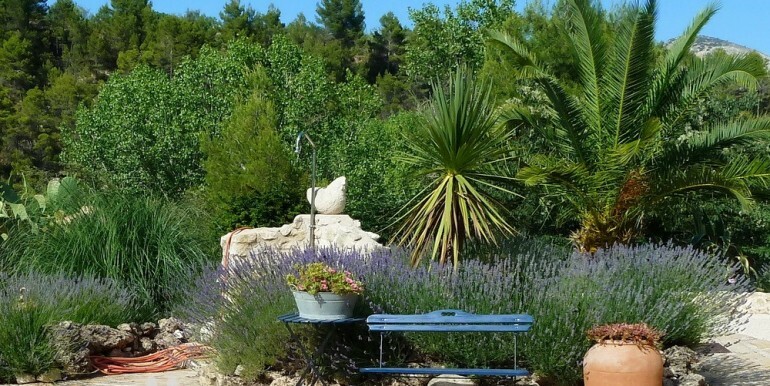 This is the perfect place for nature lovers.